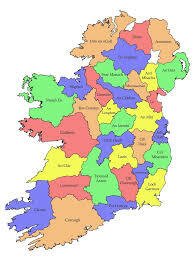 On average, South Tipperary General Hospital takes in over 55,00 patients each year. The hospital is an essential part of the health and wellbeing of the human population in this part of the country. However, it is not only humans that this hospital is a haven for! 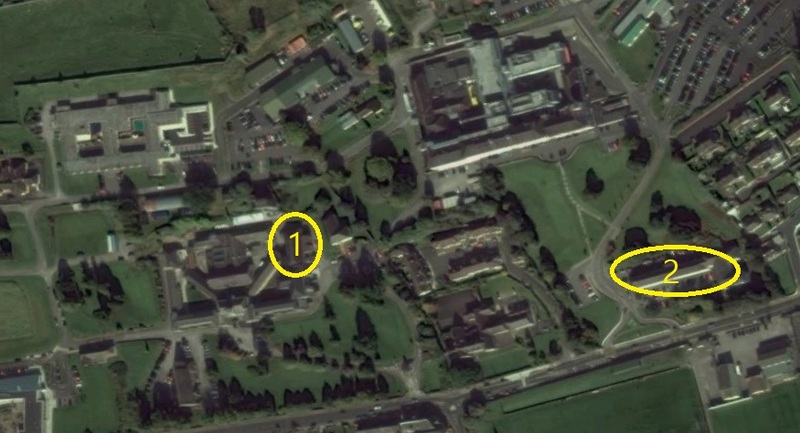 South Tipperary General Hospital is located in the large town of Clonmel. 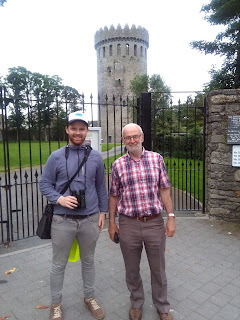 Before I ventured to this town to conduct nest site surveys as part of the BirdWatch Ireland Swift Conservation Project 2018, it was known that parts of Clonmel came alive on summer evenings with the euphonic sound of the screaming Common Swift. My job was to find out exactly where our flying friends were nesting. 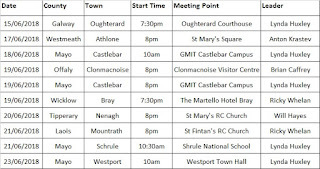 Always, my first survey visit to a town consists of a drive to every corner to determine what areas are most likely to have Swift nesting sites, usually followed a more focused survey on foot. For example, housing estates built in recent times are not likely to have any swift nests due to the energy efficient manner in which houses are built today (e.g. 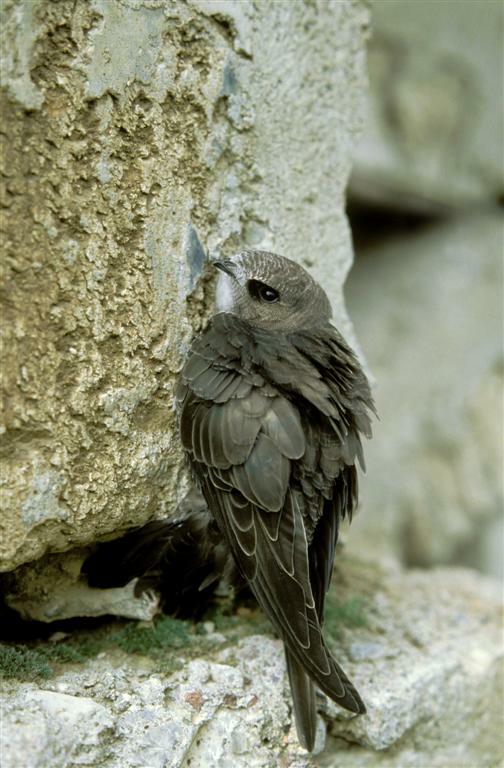 there will be no nooks or crannies for the Swift to nest in on the house's exterior). 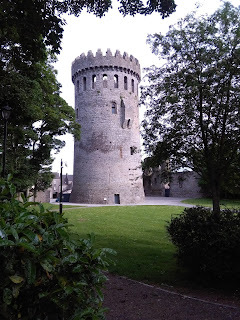 Therefore, as a rule of thumb, I would generally divert my focus to older parts of a town (e.g. old housing estates, churches and heritage sites). However, as I slowly drove into Clonmel along Western Road on my first survey visit, I could not help to notice a vast group of Swifts flying over my car. Due to the sheer abundance of Swifts flying above, there was no choice but to park the car up at the nearby Aldi and swiftly track down these feathery flyers. A break from my usual survey routine. Once parked I had lost sight of the birds, but the booming sound that was coming from down the road led me to one place, South Tipperary General Hospital. 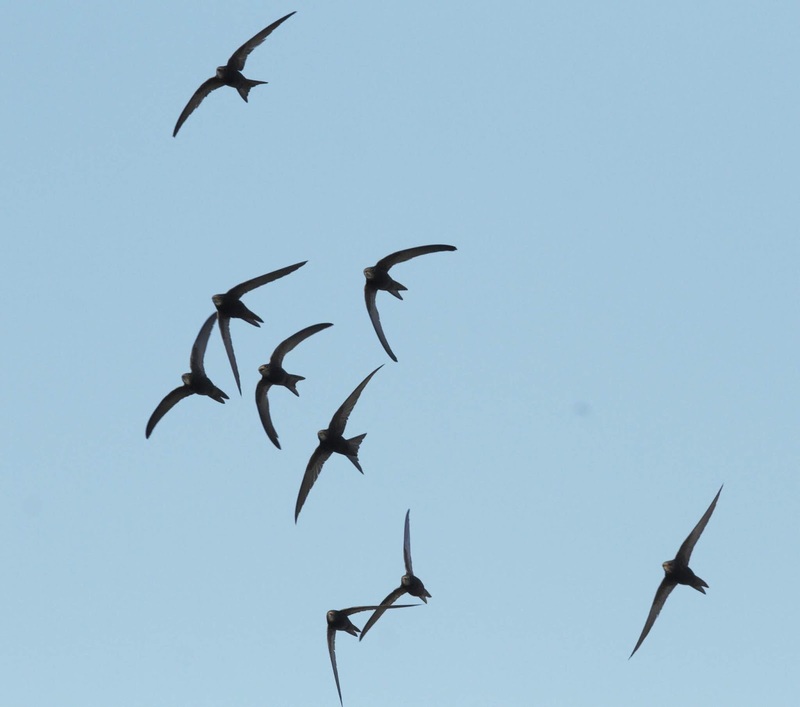 As I climbed the steep ramp onto the hospital grounds, I could hardly believe my eyes, over 50 Swifts thundering past my head as if they knew I was looking for them. As I scrambled to get my survey sheets together, I noticed these birds were focused on one building, in particular. The Community Care Centre at the forefront of the hospital grounds. This building was different from others I had encountered on my journeys this summer. The architecture of the building would lead someone of my profession to believe it was purposefully built to not only care for people but also to house Swifts. The makeup of the fascia was the defining factor in this assumption (see picture). My hypothesis was confirmed within seconds as a pair of swifts entered one of the many gaps that existed along the fascia. I knew then that this survey was not going to be a quick one. 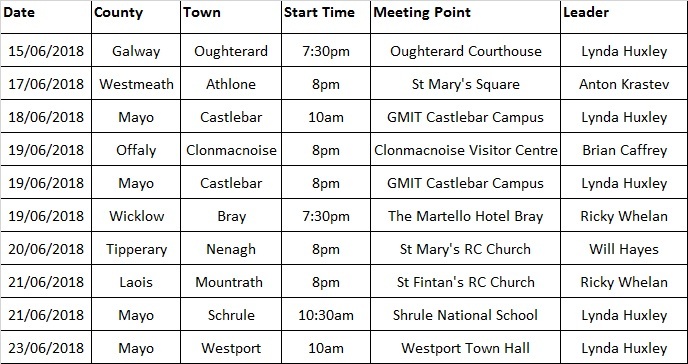 South Tipperary General Hospital Community Care Centre. Circled in red is one of the many similar gaps that existed on the fascia of this building. 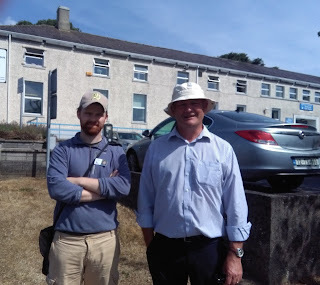 Further surveying over the coming weeks with local people revealed 40 confirmed Swift nests within the fascia of this building, concluding that the South Tipperary General Hospital’s Community Care Centre accommodates one of the largest known Swift colonies in Ireland. 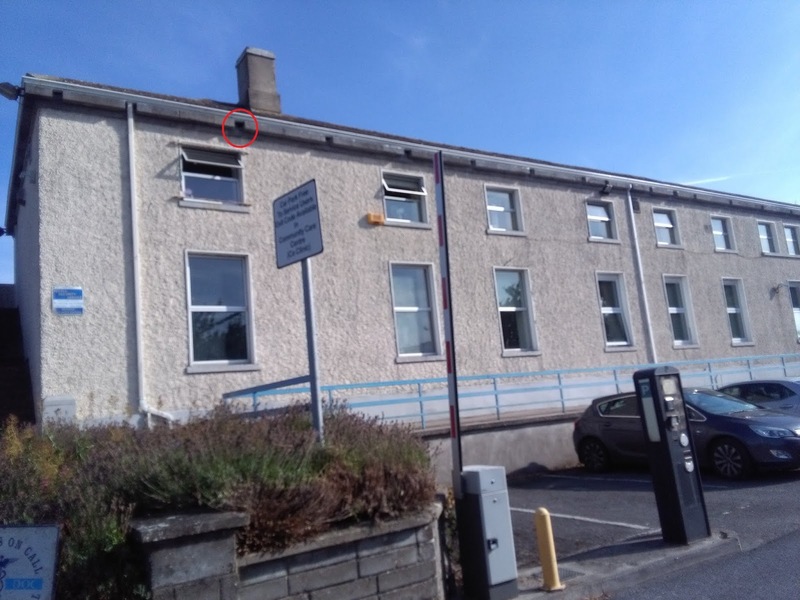 Furthermore, another building on the hospital grounds, the Cardiac Rehab Centre, contained a large colony of Swifts (36 birds) that was utilising gaps in the masonry and holes in the fascia for nesting sites. 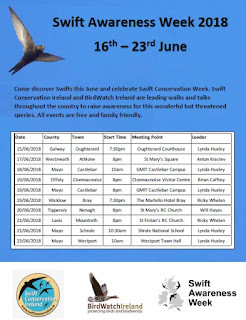 These findings have allowed me to determine that over 100 Swifts make the long trip from southern Africa every summer to breed on the grounds of the South Tipperary General Hospital. It is clear that this hospital was built with the intention of saving human lives. It has not only achieved this but has unintentionally become a sanctuary for the Swift, a native bird that is currently under serious threat in Ireland.